At last, the time has come for summer fun for Central Michigan University students. Classes are over, the weather is warming up, and Mission Street already seems mysteriously more manageable. But there’s one more important event left to be taken care of before we can say the semester is officially over -- Commencement! 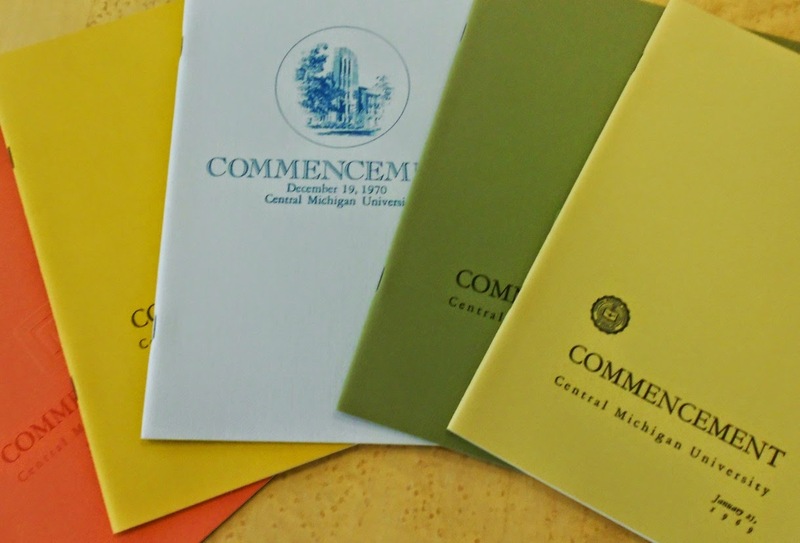 We thought we’d take you through some of the historic Commencement brochures that the Clarke keeps in its holdings, and show how much things have changed and how our school has grown over time. Central Michigan University started out as Central Michigan Normal School and Business Institute in September 1892. 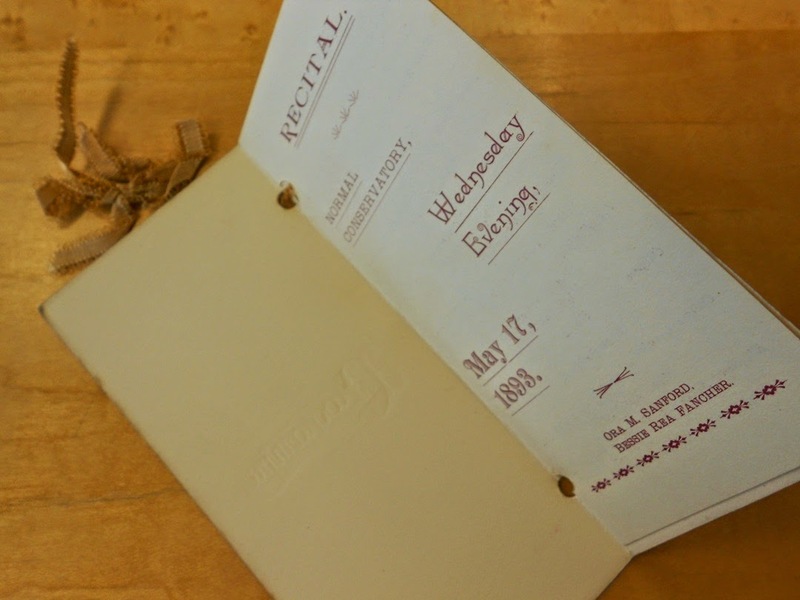 Pictured here is the 2nd commencement booklet from 1894, 120 years ago! 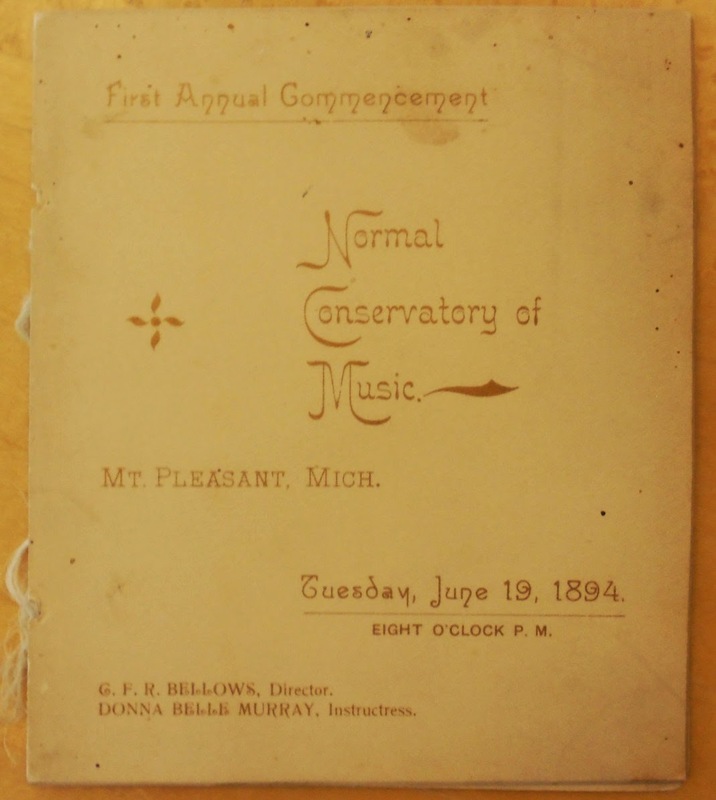 In the 1890s, each document had a unique design, from the list of music conservatory graduates to the dinner invitations. 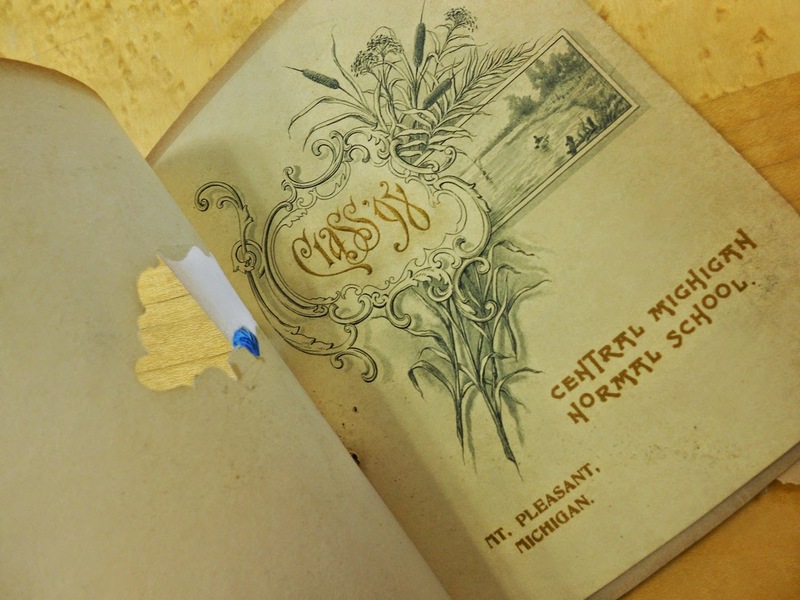 Upon entering the 1900s, the number of students graduating from Central increased immensely. 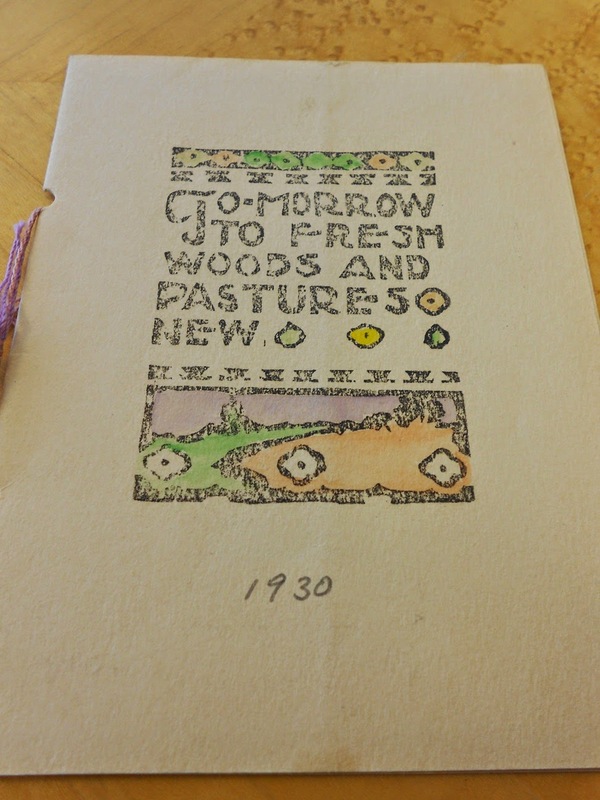 The brochures were designed in a more minimalist fashion, but they still managed to sneak in some bright colors on the dinner invitation, as pictured here in this 1930 Commencement booklet. Shortly after the 1930s, most of the brochures were designed to be simple and to the point, with an interlude in the late-1960s to early-1970s when the brochures were splashed-up with earth-toned covers, like those seen here. By the 1990s, the brochures turned back to the modest feel, which has lasted through to today with slight changes. It’s a classic business-professional look and focuses the attention on the content of the brochures rather than the aesthetics. What’s most important to remember about Commencement is the progress our students have made, and that we are celebrating their steps into an exciting new chapter of their lives. 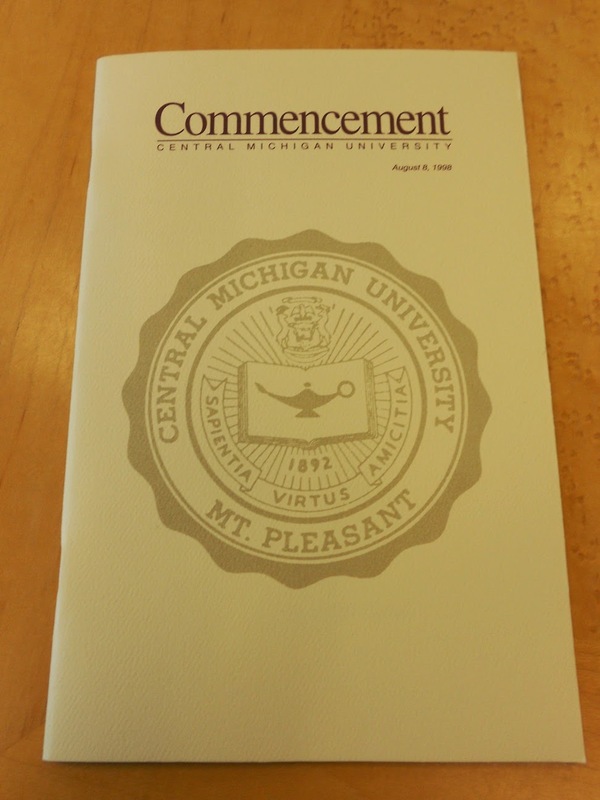 This year, around 3,000 students will be graduating and the Clarke will be sure to keep a copy of their 2014 Commencement brochure. 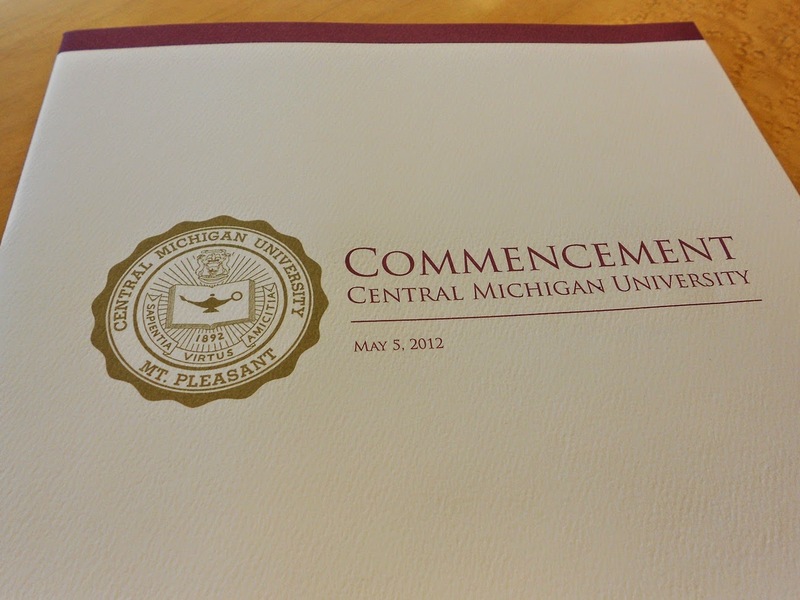 We look forward to seeing it featured in a 2064 blog post about historic Commencement documents found in the CMU Archives of the Clarke Historical Library.